How can I find my bookmarked pictures? Thanks Linda. 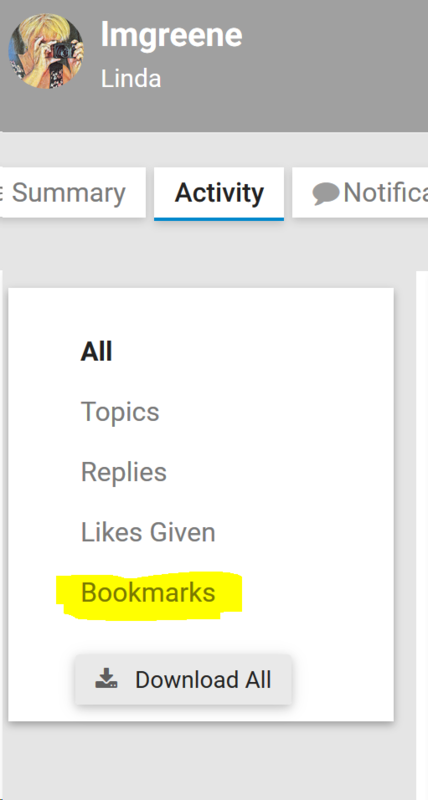 I was looking for the word Bookmarks. I’m sure this will be of help to others too. 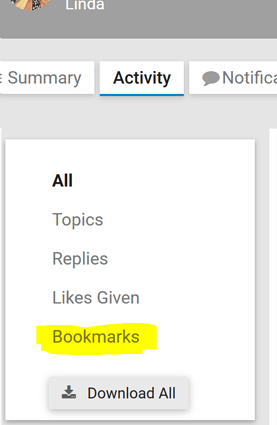 I clicked on the bookmark icon and it went to Activities > Bookmarks.